Research Interest: Interested in knowledge of methods of coordination chemistry and methodology including preparation of complexes and their characterization by molecular electronic spectra, IR, NMR, CHN, conductance, thermal analysis and spectrophotometric determination of the stoichiometry. Design and characterization of Schiff base imine complexes and study their interaction with DNA and their antioxidant activity. Design and study of multifunctional systems containing Schiff base ligands and 4f metals towards the development of nano devices. Preparation and characterization of surface modified magnetite nanoparticles with controlled size. Functionalization of nanoparticles and for catalytic reactions. Functionalization of nano medical plants for water purification. Design of new nano photocatalysts for oxidations of dyes and water purification. Synthesis of nano curcumin for biological applications. 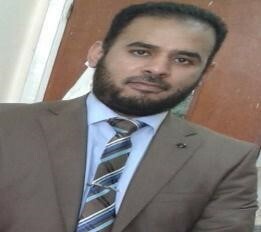 Biography: Dr. Ahmed Mohammed Abu-Dief Mohammed, Lecturer of Inorganic and Physical Chemistry at Chemistry Department, Faculty of Science, Sohag University, Sohag, Egypt, Post doctor, Faculty of Chemistry, Oviedo University, Spain,2015. Dr. Ahmed Mohammed Abu-Dief publishes more than 65 articles in international journals, 7 books and participates in more than 53 workshops and international conferences with h- index 18. 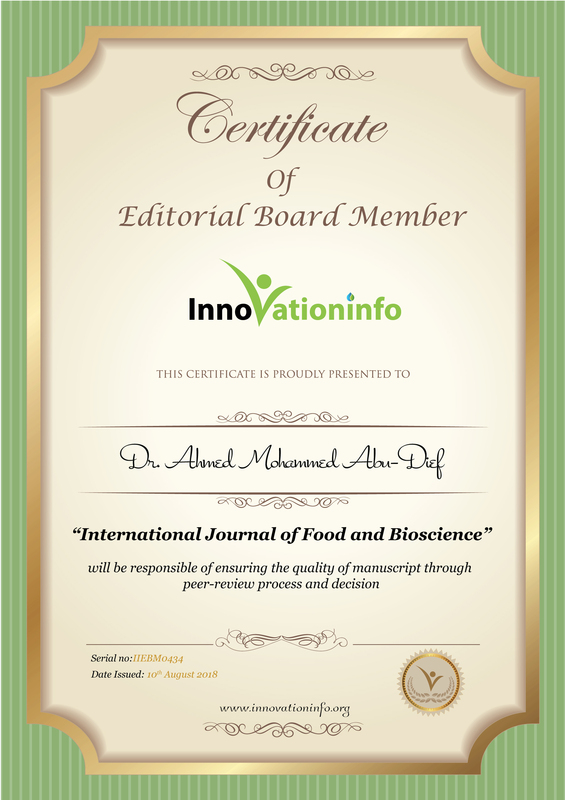 Moreover, Dr. Ahmed Mohammed Abu-Dief works as a reviewer in 87 international journals and member of editorial board in more than 25 journals. Laila H. Abdel-Rahman, Mohamed Shaker S. Adam, Ahmed M. Abu-Dief, H. Moustafa, Maram T. Basha, Ahmed S. Aboraia and Hanan El-Sayed Ahmed , Applied organometallic Chemistry, accepted manuscript, July 2018. Ahmed M Abu-Dief and Azza A. Hassan Abdel-Mawgoud, SF Journal of Nanochemistry and Nanotechnology, 1 , 2018, 1-5. Laila H. Abdel-Rahman, Ahmed M. Abu-Dief, Rafat M. El-Khatib, Shimaa Mahdy Abdel-Fatah, Int. J. Nano. Chem. 4, No. 1, 2018, 1-17. Ahmed M. Abu-Dief and W. S. Mahmoud, Journal of Physics and Chemistry of Soilds, 2018, 116, 375-385. Adel A. Marzouk, Ahmed M. Abu-Dief , Antar A. Abdelhamid , Applied Organometallic Chemistry, 2018, 32(1) e3794. Laila H. Abdel-Rahman, Ahmed M. Abu-Dief, Rafat M. ElKhatib, Shimaa Mahdy Abdel-Fatah , A. M. Adam, E.M.M. Ibrahim, accepted manuscript, Applied Organometallic Chemistry 25-10-2017. Laila H. Abdel-Rahman, Ahmed M. Abu-Dief, and Azza A. Hassan Abdel-Mawgoud, LAMBERT Academic Publishing 2017, ISBN: ISBN: 978-3-330-07166-7. Ahmed M. Abu-Dief and Shimaa M. Abdel-Fatah, BeniSuef University Journal of Basic and Applied Sciences, 2018, 7, 55-67. Laila H. Abdel-Rahman, Ahmed M. Abu-Dief, and Azza A. Hassan Abdel-Mawgoud, Journal of King Saud university, accepted manuscript, 11-5-2017, https://doi.org/10.1016/j.jksus.2017.05.011. Laila H. Abdel-Rahman, Ahmed M. Abu-Dief, Moustafa O. Aboelez and Azza A. Hassan Abdel-Mawgoud, Journal of Photochemistry & Photobiology, B: Biology 170 (2017) 271–285. Laila H. Abdel Rahman, Ahmed M. Abu-Dief, S.M. Abdel-Fatah , Pharmaceutical Applications of Nano Imine Complexes and Their Oxides, LAMBERT Academic Publishing 2017, ISBN: 978-3-330-05-192-8. E.M.M. Ibrahim, Ahmed M. Abu-Dief, A. Elshafaie, A. M. Ahmed, Materials Chemistry and Physics 192 (2017) 4147. Laila H. Abdel-Rahman, Ahmed M. Abu-Dief, Maram Basha and Azza A. Hassan Abdel-Mawgoud, Applied organometallic Chemistry , 31, 11, e3750, 2017. Laila H. Abdel-Rahman, Nabawia M. Ismail, Mohamed Ismael, Ahmed M. Abu-Dief and Ebtehal Abdel-Hameed Ahmed, Journal of Molecular Structure 1134 (2017) 851-862. Laila H. Abdel Rahman, Ahmed M. Abu-Dief, Nahla Ali Hashem , Physicochemichal properties, DNA interaction, antiviral and antioxidant activities of some Amino Acid Imine Chelates, LAMBERT Academic Publishing, ISBN: 978-3-659-82327-5, 2016. Laila H. Abdel Rahman, Ahmed M. Abu-Dief, Nabwia M. Ismael, Mohammed Ismael, Synthesis and Reactivity in Inorganic, Metal-Organic, and Nano-Metal Chemistry, 47, 467-480, 2017. Hany M. Abd El-Lateef, Ahmed M. Abu-Dief, Moniur A.A., Journal of Molecular Structure, 1130, 522-542, 2017. L.H. Abdel-Rahman, R.M. El-Khatib, A.M. Abu-Dief, S.M. Abdel-Fatah and A.A. Sleem, Int. J. Nano.Chem. 2, 2016, 83-91. Ahmed M. Abu-Dief and Samar Kamel Hamdan, American Journal of Nanosciences, 2016; 2(3): 26-40. Laila H. Abdel-Rahman, Ahmed M. Abu-Dief, Rafat M. ElKhatib, Shaimaa Mahdy Abdel-Fatah, Journal of bioorganic Chemistry, 69, 140–152 (2016). Laila H. Abdel-Rahman, Ahmed M. Abu-Dief, Rafat M. El-Khatib, Shaimaa Mahdy Abdel-Fatah, Journal of Photochemistry & Photobiology, B: Biology 162, 298–308 (2016). Mahmoud. Abd El Aleem Ali Ali El-Remaily, Ahmed M. Abu-Dief and Rafat M. El-Khatib, Applied organometallic Chemistry, 2016, 30, 1022–1029. Ahmed M. Abu-Dief, Ibrahim. F. Nassar, Wafaa H. Elsayed, Applied organometallic Chemistry, 30, 917-923, 2016. Laila H. Abdel-Rahman, Ahmed M. Abu-Dief, Mohammed S. Adam, Samar Kamel Hamdan, Catalysis Letter,146,1373-1396, 2016. Laila H. Abdel-Rahman, Ahmed M. Abu-Dief, M. A. Abd- El Sayed, Mallak Megalea Zikry, Chemistry and Material Research, 8(4)2016,8-22. Laila H. Abdel-Rahman, Ahmed M. Abu-Dief, Emad F. Newair, Samar Kamel Hamdan Journal of Photochemistry & Photobiology, B: Biology 160 (2016) 18–31. Ahmed M. Abu-Dief, Mohammed S.M. Abdelbaky, David Martínez-Blanco, Zakariae Amghouz, Santigo GarcíaGranda,Materials Chemistry and Physics, 174, 1 2016, 164– 171. Hany M. Abd El-Lateef, Ahmed M. Abu-Dief, Bahaa ElDien M. El-Gendy, Journal of Electroanalytical Chemistry 758 (2015) 135–147. Laila H. Abdel Rahman, Ahmed M. Abu-Dief, Mohammed Ismael, Moniur A. A. Mohamed and Nahla Ali Hashem, Journal of Molecular Structure, 2016, 1103, 233-244. Laila H. Abdel Rahman, Ahmed M. Abu-Dief, Nahla Ali Hashem and Amin Abdou Seleem, Int. J. Nano. Chem. 1, No. 2, 65-77, (2015). Laila H. Abdel Rahman, Ahmed M. Abu-Dief, Samar Kamel Hamdan and Amin Abdou Seleem, Int. J. Nano. Chem. 1, No. 2, 79-95, (2015). Ahmed M. Abu-Dief and Ibrahim M. A. Mohamed, Beni-Suef University Journal of Basic and Applied Sciences, 4 (2015) 119-133. Ahmed M. Abu-Dief and Lobna A. E. Nassr , Journal of the Iranian Chemical Society, (2015) 12:943–955. http://link.springer.com/article/10.1007/s13738-014-0557-9. Laila H. Abdel Rahman ; R. M. El-Khatib,; Lobna A. E. Nassr and Ahmed M. Abu-Dief, Russian Journal of General Chemistry, 2014, 84, 9, 830–1836. I publish my second part of Ph.D. thesis book in Lambert Academic Publishing GmbH & Co. KG einrichBöcking-Str. 6-8, 66121, Saarbrücken, Germany, ISPN: 978-3-659-59301-7, 2014. Laila H. Abdel Rahman, R. M. El-Khatib, Lobna A. E. Nassr and Ahmed M. Abu-Dief, Journal of Saudi Chemical Society (2017) 21, S128–S135. Laila H. Abdel Rahman; R. M. El-Khatib, Lobna A. E. Chemistry, 2013, Vol.83, No. 12, 2510–2518. Nassr and Ahmed M. Abu-Dief, Russian Journal of General http://link.springer.com/article/10.1134%2FS107036321312 0499. Laila H. Abdel Rahman; R. M. El-Khatib, Lobna A. E. Nassr and Ahmed M. Abu-Dief, Journal of Molecular Structure, 1040 (2013) 9-18. Ahmed M. Abu-Dief, Raúl Díaz-Torres, Eva Carolina Sañudo, Laila H. Abdel-Rahman, Núria Aliaga-Alcalde, Polyhedron, Volume 64, 12 November 2013, Pages 203208. Ezz A. Abu-Gharib, Rafat M. El-Khatib, Lobna A. E. Nassr and Ahmed Mohammed Abu-Dief, Arabian Journal of Chemistry, 10, Supplement 1, February 2017, Pages S988–S995. I publish my master thesis as a book in LAMBERT Academic Publishing GmbH & Co. KG einrich-BöckingStr. 6-8, 66121, Saarbrücken, Germany, ISPN: 978-3-84843980-5, 2012. Ezz A. Abu-Gharib, Rafat M. El-Khatib, Lobna A. E. Catalysis, 2012, 53, 2, 182–187. Nassr and Ahmed Mohammed Abu-Dief ", Kinetics and DOI: 10.1134/S0023158412020012. Ezz A. Abu-Gharib, Rafat M. El-Khatib, Lobna A. E. Nassr and Ahmed Mohammed Abu-Dief, Sohag Bulletin of Pure and Applied Science (SBPAS) 2011, 13, 187-208. Ezz A. Abu-Gharib, Rafat M. El-Khatib, Lobna A. E. Nassr and Ahmed Mohammed Abu-Dief, Z. Phys. Chem. 225 (2011) 1–14.